Marrying the tones of its predecessors with slick gameplay, NieR: Automata breathes new life into the rise of the machines. NieR: Automata is an interesting beast, a game with a history as intriguing and as ludicrous as its plot. The latest brainchild birthed from the mind of Yoko Taro, NieR: Automata shares many similarities with its predecessors; yes as in more than one. For Automata isn’t just a sequel to 2010’s NieR (or is it NieRs? ), but also to the entire Drakengard series that started on the PlayStation 2. If one wonders as to why prior entries in this saga weren’t as equally known as Automata, the answer is fairly simple: they just weren’t that good. From the Drakengard trilogy to the first NieR game, clunky gameplay mechanics and terrible optimization issues resulted in a franchise that never truly had the chance to spread its wings and take off. 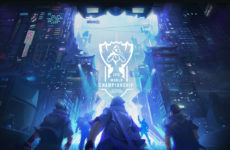 Despite this, the games were known to those who played them as an experience unlike any other with unconventional plots, depressing themes and fairly memorable characters. 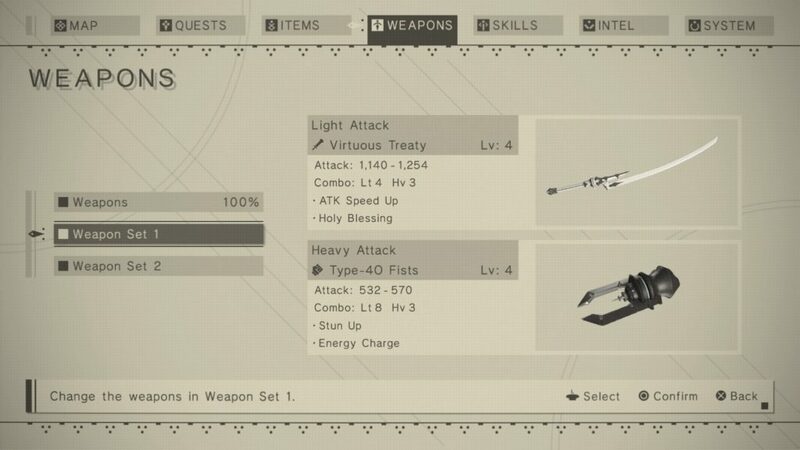 As one might expect, they became cult hits and Yoko Taro gained a small reputation with his style of storytelling. It was just a massive shame that the plot of these games had more polish to it than the gameplay… that is, until NieR: Automata came out. As you might already know, NieR: Automata revolves around a trio of androids named 2B, 9S and A2. 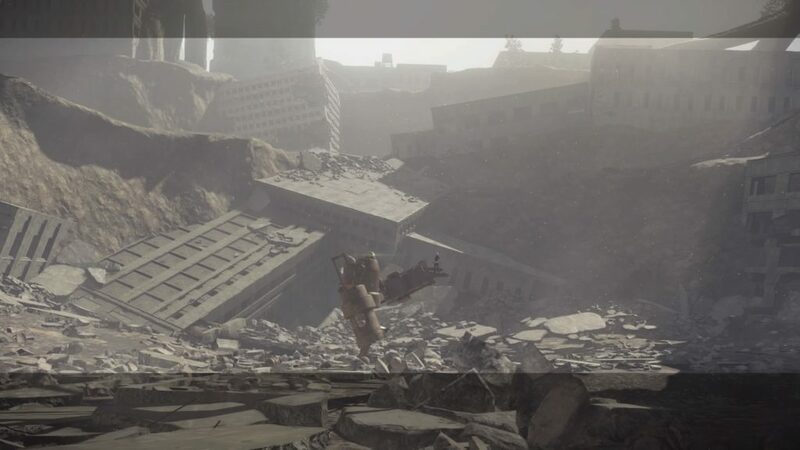 The world they inhabit is many, many years into the future of the original NieR where robots have taken over planet Earth and humanity has been forced to take refuge on the moon. 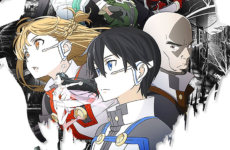 The trio alongside their android brethren fight a ceaseless proxy war with the robots for humanity’s sake, in the eventual hope that one day mankind will be able to live again on their home world. Now while that may sound pretty standard fare for a cool game about robot wars, it is anything but. In fact the term standard fare should be used nowhere near Yoko Taro’s works or the man himself. 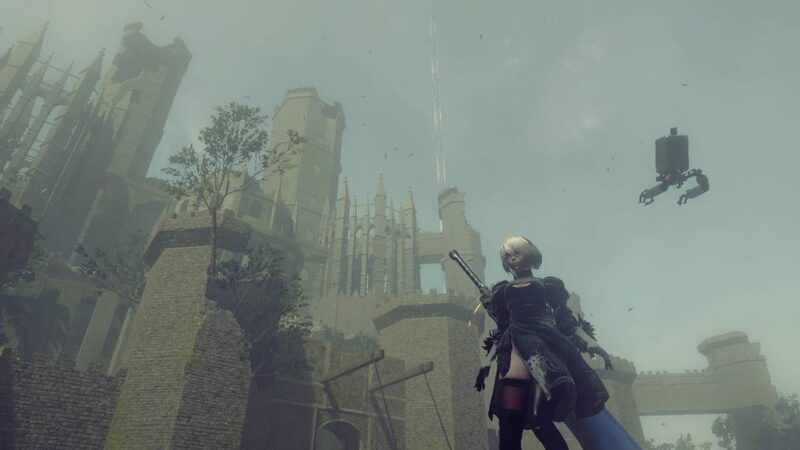 Make no mistake, NieR: Automata very much carries on the heart-wrenching themes present in previous Yoko Taro games, and its execution in this game is nothing short of poetic. The theme of existentialism weighs heavily in this game, and unlike most other ones out there, it isn’t afraid to go all out. While most games dabble in some mature themes, it’s often kept brief and doesn’t weigh too heavily on the major plot. Automata, however, is a train ride from start to finish with no stop button, making players go through some truly depressing and introspective moments regarding feelings of insecurity, doubt and existentialism. 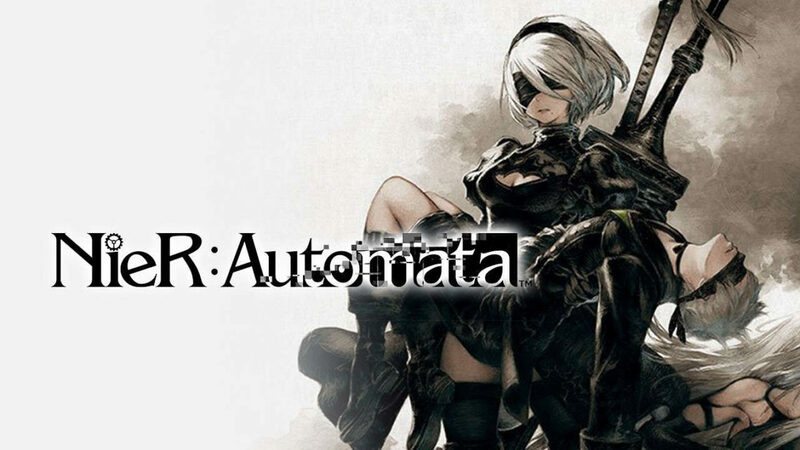 Similar to the likes of Metal Gear however, Automata often weaves in some humorous and quirky aspects into its plot that serves to lighten the mood, but never to the extent that it detracts from the overall experience. There are in fact 26 endings to this game, most of them are there literally just for the sake of a laugh; any more details and we’d be in spoiler territory so I’ll stop here. Unfolding events in any story, however, would be weightless if they happened to characters that we couldn’t empathize with, and fortunately that is not the case. Almost every character in Automata, from ones you’ll be seeing constantly to those you meet for a few meagre minutes have a lasting and endearing charm to them. At the centre of this of course, are our main protagonists whose experiences and trials throughout the plot make for some absolutely exhilarating drama. All of this is accentuated by the game’s visually stunning set pieces and locales alongside its absolutely breath-taking soundtrack. That last bit especially is something I cannot stress enough. The soundtrack in this game is nothing short of immaculate, each theme perfectly reflecting the scenes and tones of the game, strengthening the experience as a whole immensely. Well that’s all fine and good; everything seems to check out thus far for a Yoko Taro game. Great plot, likable characters and a superb score, but have we gone past the mistakes of yesteryear and made something at least play well this time? For the most part, yes. NieR: Automata is without a doubt a massive leap forward from its prequel NieR, due in no small part to developer PlatinumGames who are known for their ability to make great combat that both feels and looks great. The hack and slash combat is fast, fluid and immensely satisfying; each of the many weapons in this game feel like they have weight to them and the force behind each slash is felt as you carve a path through hordes of robots. Accompanying the androids are their pods, which allow players to shoot various types of armaments while also granting them various skills that act as an ultimate move of sorts, such as slowing down enemies in the vicinity or just straight up unleashing a death laser. These skills require a cooldown period after each use but when used at opportune moments they can truly turn things in your favour. In addition to the vast array of weaponry at your disposal, the androids of Automata can also equip themselves with skills in the form of chips. Their effects vary and have an immense capacity for customisation to suit any preferred play style. A person who enjoys hitting slower but harder for example can opt to equip health and damage boosting chips or if one prefers long-range combat there are chips that boost projectile damage. Multiple load outs are also available for these chips, allowing for quick switching of play styles. There is of course, a limit to how many chips one can equip at any time, with more powerful chips taking up more space. Knowing how to use these chips plays a key role in your enjoyment of the game’s combat, which unfortunately leads us into one of NieR: Automata’s issues: its difficulty. NieR: Automata’s difficulty settings are an odd mess. There are four options in total: easy, normal, hard and very hard. If you know what you’re doing, the game requires little to no effort on its easy and normal settings. Players will find themselves cleaving through everything in sight, occasionally pausing for the heavily telegraphed move from the more elite enemies or bosses (which don’t do that much damage) before resuming their feverish mashing of the attack buttons. Hard and very hard mode, on the other hand, simply increases the difficulty by removing certain save points and amplifying the damage to ludicrous degrees (very hard mode is instant death upon taking a hit). This ultimately means that players have two choices: mash buttons with little to no risk or play super carefully and mostly attack from a distance. There is no in-between. While difficulty doesn’t really matter for a game as plot-focused as this one, it’s a shame that for all its flashy and well-animated moves, the combat presented here is ultimately rather shallow. Having said that, I’d much rather have what we got here than the slog we’d have to go through in the older games. In the end however, there is little else that severely detracts from the glory that is NieR: Automata. This title is the purest example of an experience one can only have via the medium of video games and its immense significance cannot be understated. If you have the time and resources to get this game, I urge you to do so. 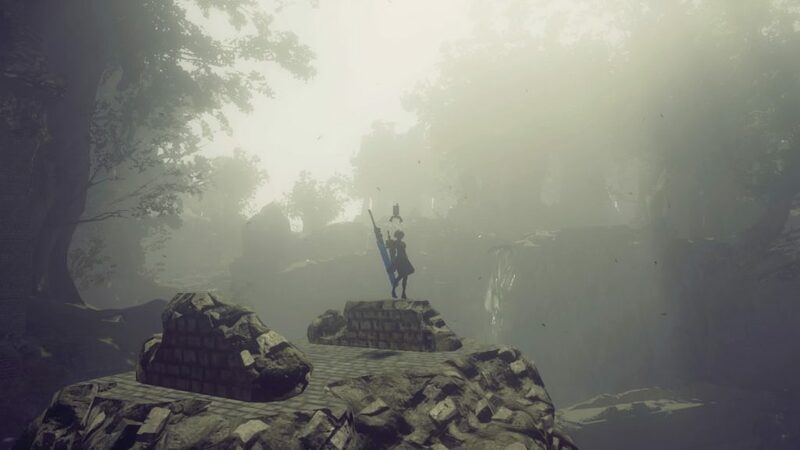 Whether to broaden your horizons, to immerse yourself in a world beyond our own or to just have a fun time for the next few weekends, it is this author’s vehement wish that you get on the roller coaster of emotions that is NieR: Automata.